This month I re-read Jane Eyre by Charlotte Brontë before a trip to the theatre to see a modern production of Jane Eyre. I downloaded the book on to my Kindle, 364 pages, and thank goodness Kindle has a built-in dictionary because I had to look up many words. 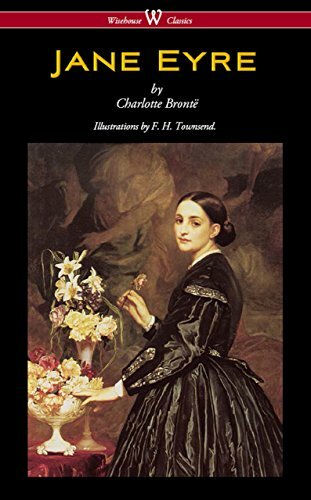 I had read the book at school along with other classic literature when I was studying English Lit and thought I knew and could remember the story but surprise, surprise, although I remembered the gist of the plot the content held surprisingly modern themes for a book written in 1847 by an English woman. It is a different style of writing to modern day novels. Rather wordy and very descriptive but that didn’t take away any enjoyment I had reading the book. I did find I had to concentrate and focus more on the words than I would usually. In fact reading it in bed before going to sleep wasn't something my mind could take so I’d go back to a more light-hearted read. It probably took me around four days to read it which is a long time for me to have a book unfinished. I am so glad I read it before I saw the modern production at the theatre. Now the actual visit to the theatre was something else. I must admit I was rather sceptical at seeing a modern version. We are very lucky in this area that the Marlowe Theatre in Canterbury brings large productions from National Theatre and Bristol Old Vic to our neck of the woods. I was engrossed throughout the three hour performance (with a 15 minute interval). There are no scene changes, the cast is on the stage all the time. The performance was physically demanding, the musicians who were on stage all the time were brilliant and the soloist added poignancy and pathos to the production that only enhanced the whole experience. The actors took several roles each, apart from the two main characters, Jane and Mr Rochester. Some of the men, fully bearded, portrayed schoolgirls at the boarding school and even the dog, Pilot, which did bring a few laughs and light relief. The music, the special effects, lighting, stage direction, music, costume changes on set were all absolutely brilliant. 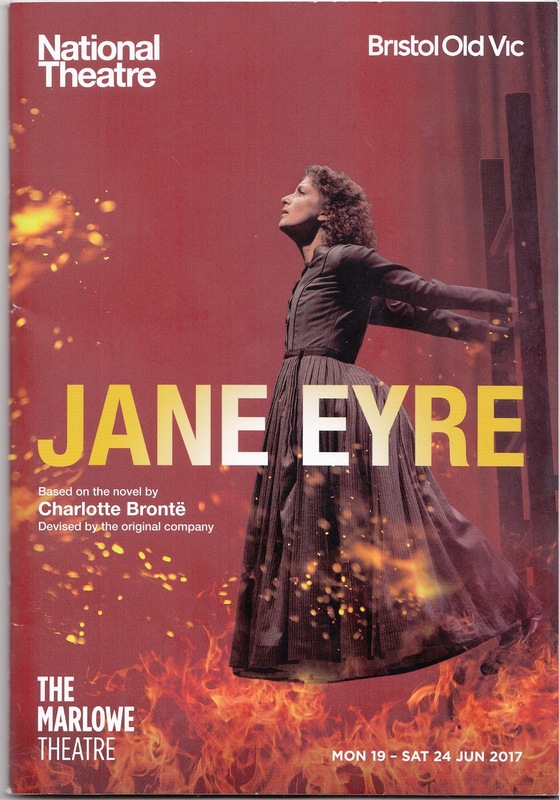 I am so glad I had the opportunity to re-read the book and to enjoy this production of Jane Eyre. Thank you for sharing this. I have never read Bronte but I imagine I will. I especially appreciate you tying it to your experience of seeing the story on stage. This is one of those books that I'm always meaning to read but just haven't. I actually read, at least part of it, when I was in high school, but I don't remember much of it at all. For once I've actually read one of the books featured in the Coffee House :) Yes, it is a little more difficult to get through than a modern story, but yes it is surprisingly modern in the way that Jane insists on being recognized as an intelligent and independent woman in the face of everyone's expectations of her. I like Jane Eyre. I read it on my own when I was in junior high, and then I read it for a college course called Women and Literature. A stage production would be interesting. You know, I have not read Jane Eyre and I should really rectify that. I adored the book when I was in high school, and re-read it along with my son when it was assigned in his high school English class. I loved it all over again. Thanks for sharing your thoughts about the production. 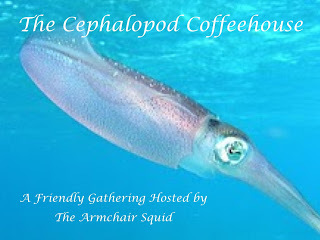 It sounds like a delight! I only read Jane Eyre for the first time relatively recently. I hadn't ever had to read it for school or anything. I loved it!